Team Eubank have achieved something truly exceptional within the world of boxing. They have succeeded in getting almost everyone in boxing to agree with an opinion and that is, Jr can NOT continue to train himself with his Father “guiding” him over his shoulder, like some sort of back seat driver hoping to relive past glories. Eubank Sr has been cited as the cause for a great many of the problems his son has faced within the sport, from arguments with promoters to disagreements with trainers. His overbearing presence on everything to do with his son is having nothing but an adverse effect, he sees himself as an influencer, whilst most others see him as a hinderence. In their corner they currently have the much respected trainer Ron Davies, who trained Sr all those years ago however, he seems to be just a figurehead in this version of team Eubank, which is surprising for a man of his talents. 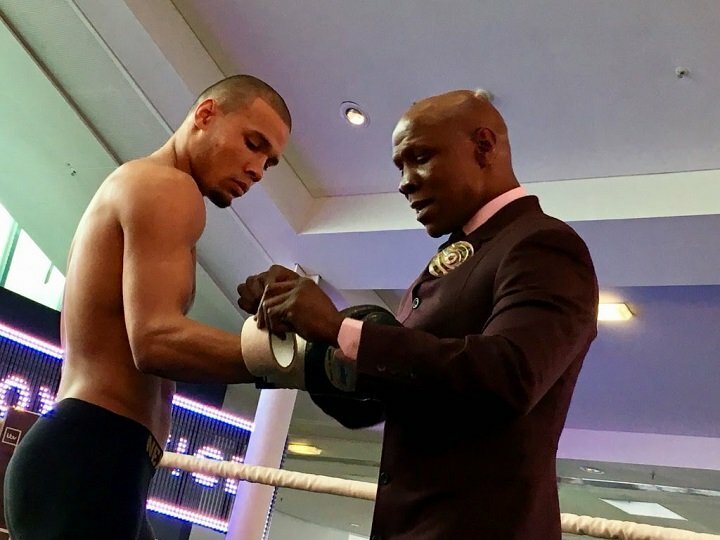 Chris Eubank Jr had an ill fated and short time with Adam Booth some years back, which soured and broke down, this is a trainer that would have turned Jr’s natural talent into something quite truly special I think and IF bridges could be mended Booth is the trainer he should look too now. Everyone involved with boxing, in fact anyone with a remote interest in boxing can see that Eubank Jr needs not just a trainer, but somebody that will train Jr and train him hard. He has the ability and the natural attributes he just needs to be taught what to do with it all in certian situations. Social media is full of people almost screaming this at the Eubanks however, it seems to be falling on deaf ears. Nigel Benn doesn’t get involved in the career of his son Conor. When do both Sr and Jr think – “They can’t all be wrong, perhaps we do need to listen and change…”?